On this page, we have compiled a list of Frequently Asked Questions about the HECM for Purchase program. What are eligible property types? The property must be an eligible HECM property, owner occupied single family residence, PUDs or FHA approved condos. (If you are considering a condo, call to find out if it is FHA approved first! HUD Condo Lookup) New construction must be fully completed and a certificate of occupancy issued before closing but loan process can begin before construction is complete. You must occupy the home within 60 days of closing. What fees can the seller pay and what fees must the buyer pay? Who pays the closing costs are determined by what is customarily paid by a seller and buyer in the subject property locality. Seller must pay for and complete repairs needed to bring the home up to FHA standards prior to closing. Seller concessions or down payment assistance is not allowed. Under what conditions may a purchase transaction be canceled? The transaction can be canceled any time prior to the date of closing if it meets the terms of the purchase contract. If the borrower decides to cancel he or she must notify all parties in writing. At what point must reverse mortgage counseling be completed? Counseling is Required Prior to Opening Escrow!!! Pre-Counseling Packet and Counselor List and complete your counseling before making an offer. It is required to have the counseling certificate in the file before the loan process can begin. All borrowers, non-borrowing spouses and attorney-in-facts must receive counseling. Is New Construction acceptable? Yes, as long as a Certificate of Occupancy has been issued and property ready to occupy. What must be included in the purchase agreement or contract of sale? Language indicating Seller is responsible for completing and paying for required repairs prior to closing. A Contract of Sale, fully executed with signatures of all parties and all amendments signed and initialed. It is recommended to include a Mortgage Contingency. FHA encourages a Home Inspection conducted by a qualified Home Inspector. 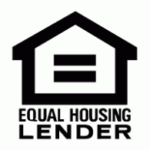 What source of funds is acceptable and what documentation is needed for the down payment? Seller concessions or down payment assistance is NOT allowed. Down payment requirements are higher than traditional mortgages because there must be equity available for interest to accrue over the owner’s lifetime as no monthly loan payments are required. If down payment is from bank or investment accounts, a verification of deposit along with bank statements that cover the most recent 3-month period are required on all accounts. If a gift is being used, a gift letter, evidence of donor’s ability to provide the gift from seasoned funds and evidence that funds have been transferred into Borrower’s account prior to closing is required. Ineligible Funding Sources include; credit card advances, bridge loans, personal loans, subordinate liens, loan discount points, interest rate buy downs, closing costs assistance, builder incentives, gifts or personal property given by the seller or any other party, seller concessions or financing, loans against borrower assets, down payment assistance programs are prohibited. What if borrowers using the HECM for Purchase for a new primary residence choose to retain their existing home as a rental property? Continue to make the mortgage payment and tax and insurance payments on the existing mortgage. Depending on the location of the property and other issues, more documentation may be required. Note: in early 2014 more documentation will be required as a financial assessment will be completed.